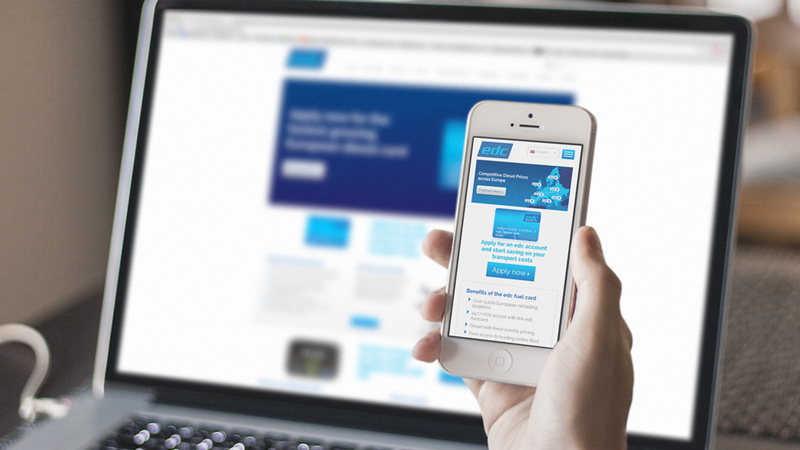 Web development and digital strategy that drives awareness of the brand’s pan-European fuel card products and captures customer data from 8 different language versions. 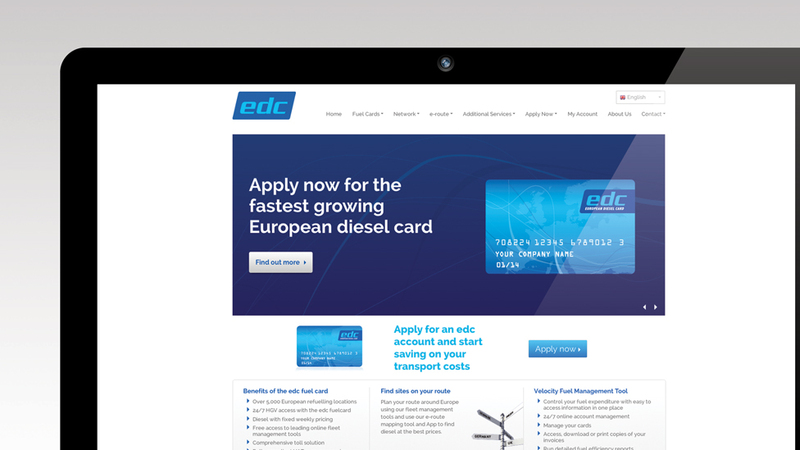 Drawing on our design experience in the fuel industry, Parker Design was responsible for the digital strategy of the edc (European Diesel Card) website, whilst also designing the overall corporate branding. The website aims to drive awareness of the brand’s pan-European fuel card products and capture customer data via online application forms served in 8 language translations. 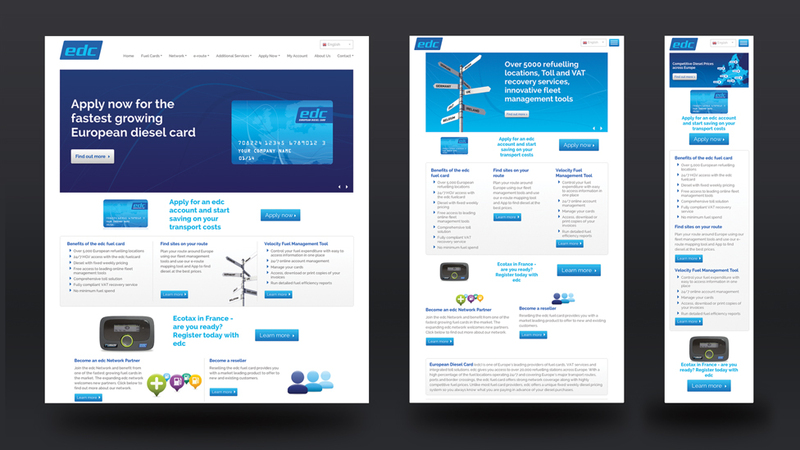 The design of the website uses a fresh colour palette and uncluttered layout that works well on larger screens and also on smaller hand-held devices such as smartphones and tablets. When developing the front end, the Twitter Bootstrap framework was used as a basis for the underlying scaffolding, ensuring industry standard, tried and tested methods were employed. One of the most prominent visual features are the mobile responsive sliders, which make great use of copywriting, animated imagery and typography to deliver important product messages and call to actions across all devices. The website has been translated into 8 further languages and so the use of WordPress as a content management system proves even more useful. 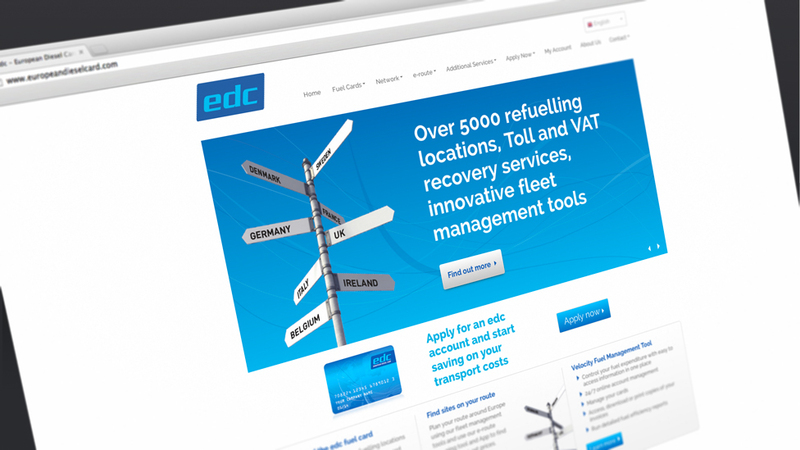 The edc website links to e-route online (a fuel site finder) and also the e-route geolocation app, both also designed by Parker Design.